Product prices and availability are accurate as of 2019-04-10 09:25:45 UTC and are subject to change. Any price and availability information displayed on http://www.amazon.com/ at the time of purchase will apply to the purchase of this product. We think the best brownies have moist centers, a paper thin crackly crust, and lots of chewy edges. If you agree, you'll love the Edge Brownie Pan - it's the only gourmet brownie pan that adds two chewy edges to every brownie! 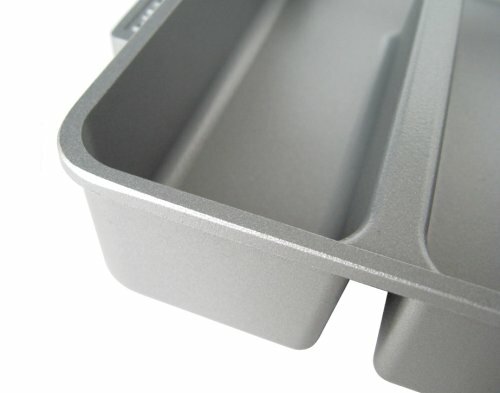 The award-winning design also improves baking performance by circulating heat evenly to the pan's middle, where food typically takes longer to bake. 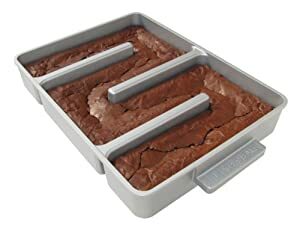 The Edge Brownie Pan has a single baking chamber that allows brownie batter to settle evenly, and the 9" x 12" size is a perfect fit for box mixes, as well as most recipes for 9" x 9" and 9" x 13" conventional pans. A durable nonstick coating makes it easy to clean, and the recessed handles are an easy grab when the pan is turned upside down. 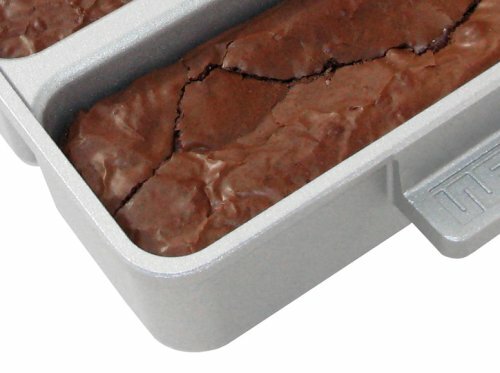 Widely acclaimed for its innovation and quality since its launch in 2006, the Edge Brownie Pan has quickly become a best-seller - and has garnered rave reviews from bakers everywhere. 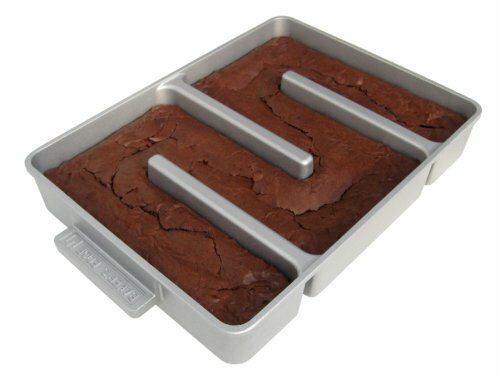 The Edge Brownie Pan is 100% made in the USA, and each pan comes complete with a flexible nylon spatula and a brownie recipes insert. Adds two chewy edges to every brownie. Fits standard box mixes with no adjustments necessary. One continuous chamber, so batter can be easily spread. Durable nonstick coating and heavy gauge cast aluminum construction. Made in the USA, nylon spatula and brownie recipes included.